They call her generation the “greatest generation” and with good reason. People who were born around the 1920’s to 1930’s have such pride in their country. They salute the flag and stand and sing when they hear The National Anthem. They’ve seen war and depression. They stood in lines for essentials like bread and ladies hose, which were very important to the women of that day. They had to work hard for everything they had. So therefore, they appreciated everything they earned. 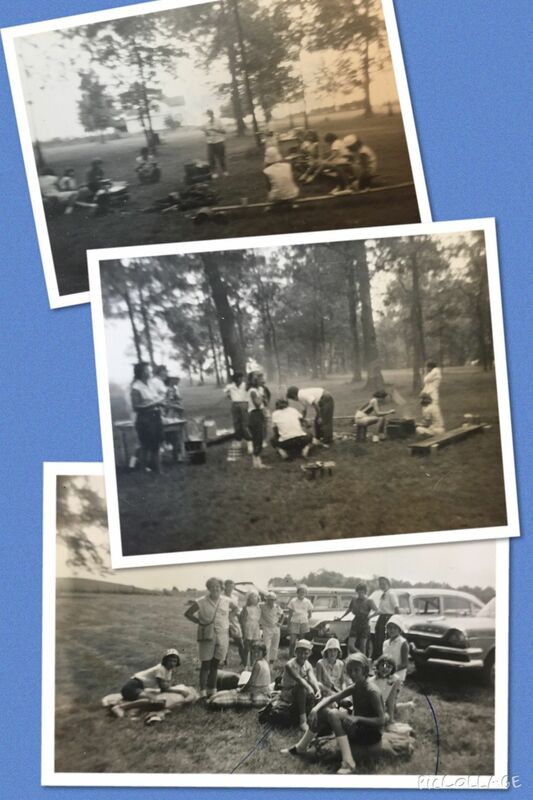 When the fifties came along and everyone could take a deep breath and enjoy life, they did. TV shows from then were The Donna Reed Show and Father Knows Best which showed mothers staying home and raising children and running the household. Mrs. Eleanor Spicer did this with ease. Even with keeping up with her children Stephen Craig and Anne Claire’s needs and washing and ironing before the iron free fabrics came out. She cooked every day and baked wonderful pies and cakes and cookies and breads. Depending on which day of the week you were there, you would see her counter fill up with the variety of her sugar creations. Friday was the day I often got to come over so I was lucky to get to sample many of her different baked things, that is if there were still some crumbs left!! One of my favorites is the zucchini nut bread. Here is her recipe written, of course, in her own handwriting. Although Mrs. Spicer was very good at running her household, she was very involved in many other projects as well. She was an active member of the First Presbyterian Church in Circleville, Ohio and prepared some of her finest foods for functions there. She also managed to play bridge and we all know that’s not the easiest of card games. 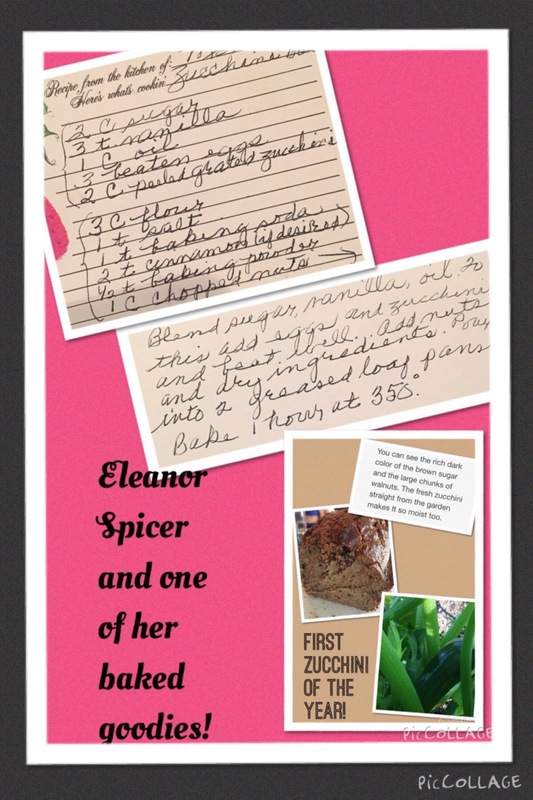 Eleanor enjoyed writing for the Historical Society and was a member of the Daughters of the American Revolution ( DAR ). She worked at the polls during elections and belonged to The Republican Party. But I have a favorite memory of a position she held and that was of my Girl Scout leader. She took this unpaid job, as I’m sure she did all of her other unpaid positions, very seriously! For us girls to earn any of our badges we had to do exactly as the book stated. I can remember hiking in the parks around Circleville, like Old Mans Cave and Deer Creek. If the book said three miles we didn’t walk even a few steps short of that either. We learned the importance of following rules and felt the pride when we completed the task. There were no badges for trying, only in completion. And I feel sorry for the kids today that get unearned trophies. They will never feel the pride I do, even today, when I look at my badges with such a sense of earned accomplishment. Thank you Eleanor Spicer for taking the time! Here is another one of her family favorites, Apple Crisp. Such a sweet lady! We sure do miss her! Well, I have to say this is my favorite post so far! (Not that I am biased…) Your story and photos are perfect! The family ones are great and I love the Girl Scout ones also. Such a lovely way to celebrate Grandma Spicey’s life. What wonderful memories you have of your best friend Anne’s mother. She was a remarkable woman. Wonderful musings LeAnna!!! Love hearing about you and Anne and Circleville and growing up. Miss Eleanor was a very sweet, very special lady!!!! 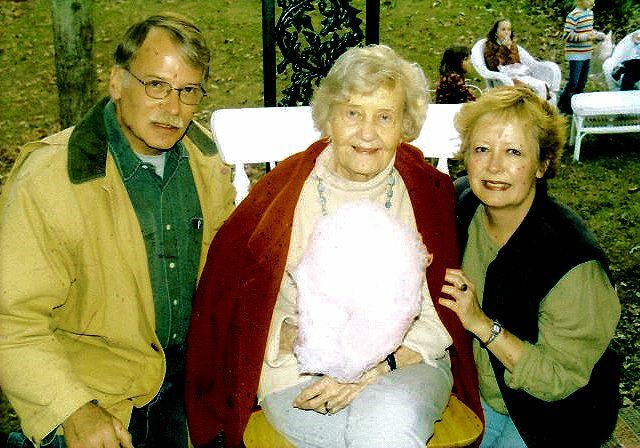 Thank you for writing such a great piece about Eleanor, the best mother-in-law anyone could have asked for. 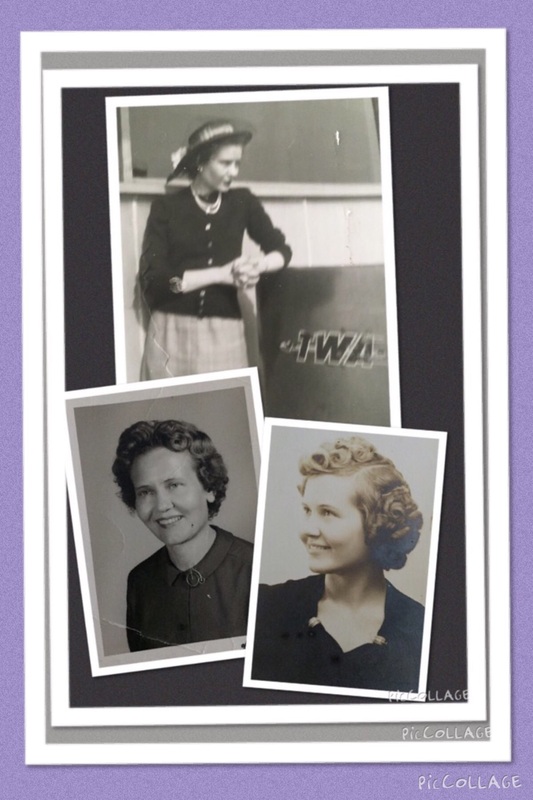 My own dear mother wasn’t much of a cook, but I learned so much from Ellie. Her cherry pie was the best ever, and I’ve made her zucchini bread many times. As you have written, she was much more than a wonderful cook. She was interested in lots of things, volunteered her time and energy to her church and community, enjoyed traveling the world with Emerson, and loved her grandchildren immensely. I feel blessed to have had her in my life and been a part of her family. Love you, Mom! So glad you enjoyed it. She was so interesting! We miss her dearly! Yes, I would ! 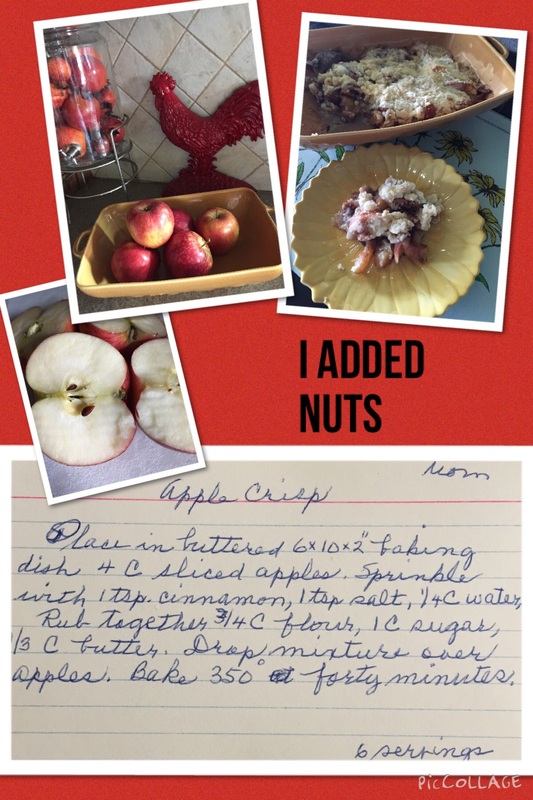 I love old recipes and the people that fixed them! So glad you liked it! It is this wonderful zucchini bread that not only got me to try zucchini but taught to me to love it.